On March 2014, Vanuatu was hit by the worst cyclone ever recorded. There are 83 islands in Vanuatu, and even if national and international help was quick to start rebuilding the country, reaching out to all 83 islands is a difficult task. 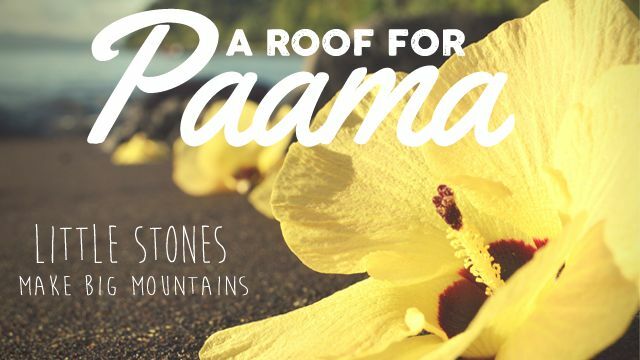 Paama is one of these remotes islands which a small not-for-profit organization, "Little Stones", choose to help rebuild and sustainably develop.